This beautiful living room from a Houston home is designed by stylish homeowner and former graphic designer, Ashley Putman. With a flair for mixing pieces from flea market finds to antique heirlooms, her rooms feels warm and collected, exuding a modern traditional chic vibe! 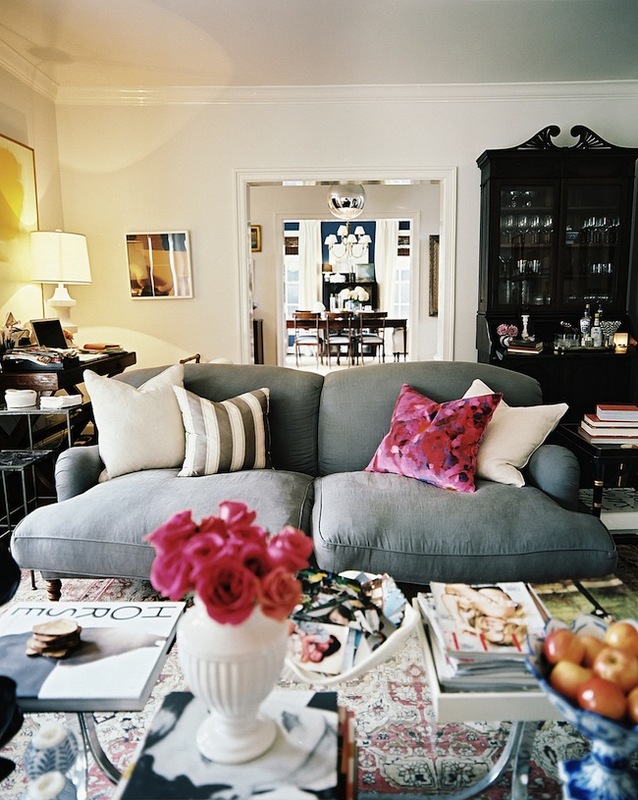 The gorgeous rolled arm sofa is especially my favorite. I am really inspired by her fabulous styling and effortlessly chic aesthetic, what about you? A room that screams...."come in and relax!" Thank you for the wonderful spaces you show...they always have great style ! Love this room Jessie. effortlessly chic! Warm and inviting with no rope at the entrance…my favorite! Happy weekend, Jessie!